The Office of Professional & Organizational Development (OPOD) supports Academic Advancement and student learning by providing high-quality personal, professional and organizational development offerings for STC faculty and staff and the region. These offerings include college-wide Professional Development days for all faculty and staff as well as specialized days for both full-time and part-time faculty. The OPOD also delivers innovative training through the Academy Model. This model delivers timely professional development while building cohorts and creating buy-in among participants. The Academies help to implement institutional priorities and increase college-wide communication. 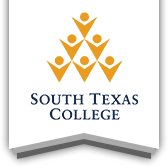 Each year, the OPOD coordinates a variety of South Texas Leadership Academies and other workshops for targeted audiences of faculty and staff. These offerings provide participants with the opportunity to advance their skills in the areas of classroom instruction, leadership skills, discipline-specific development, technology skills, and personal enrichment. The OPOD relies on its four advisory teams to help develop programming for each employee group. Finally, the OPOD, in conjunction with the academic departments, facilitates events that provide community members with information and skills to improve their career development. Our mission is to serve our students, our communities, and each other through development and empowerment through our staff and faculty in an enriching, positive, and dynamic way.